Newsletter: Chickens, Brawts and Beer… oh my! Happy National Dance like a Chicken Day! Imagine, a whole day dedicated to those who like to do the “Chicken Dance”, preferably to the song written by Werner Thomas. While this song is a favorite of weddings and other celebrations, those opportunities are way too infrequent for the chicken dance aficionado. Therefore, today provides the perfect opportunity to exercise your love of the Chicken Dance… guilt free! 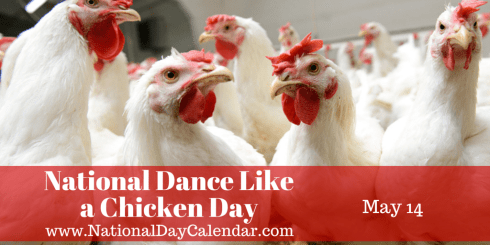 What does National Dance like a Chicken Day have to do with beer you ask? Nothing, really. But maybe we’ll help you win that next game of Trivial Pursuit or that argument with that one relative (yeah, we know the one). Enough ramblings though, onto beer! Remember, all Thursdays at the Burning Brothers taproom are Thirsty Thursdays, where we discount pints by $1 and growler fills by $2. If you have a busy weekend, today is the day to swing by and make sure you have enough beer to get through it! Food on Fridays (FoF) is happy to be welcoming Moondog Fancy Meats back with their all natural brawts and hot dogs. What goes better with a pint of beer than a good brawt? Not much in this brewer’s book! Tap selection for the weekend includes Pyro, Roasted, OB Honey Infusion and Lime Shandy. The lager has moved forward in the process from fermentation to carbonating. ETA should be next weekend. An important note for those visiting the brewery over the next few months. The Snelling Ave. bridge crossing Interstate 94 is closed. This means that access to the brewery from the I94/Snelling ramps is difficult to non-existent, depending on which direction you are coming from. We recommend using the Cretin/Vandalia exit for the interim. Questions? Drop us a note via Email, Facebook, Rude Hand Gestures, Twitter or Google+. Newsletter: Moms and Crazy Puppies?